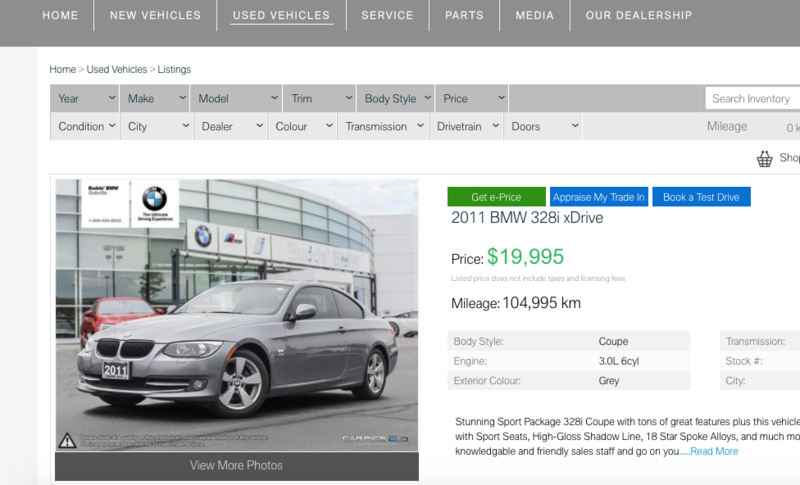 Finding new cars for sale in Ancaster is easy when you choose Budds’ BMW Hamilton! 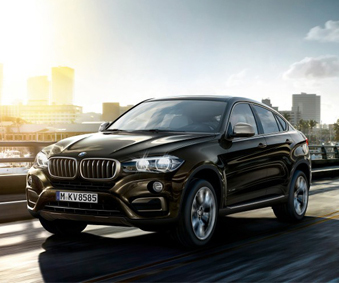 BMW is known for their premium quality vehicles that are made with innovative and lightweight materials and include the latest automotive technology. Ancaster residents do not have to travel far to get to our dealership because Budds’ BMW Hamilton is located in very close proximity to Ancaster. For those people who choose to do initial research from home on the vehicles they are planning on purchasing, our website is a very useful tool and is very easy to navigate. Allow us to show you how you can access our new cars for sale in Ancaster at Budds’ BMW Hamilton from or website! This link will take you directly to our website where you can begin your search for new cars for sale in Ancaster! Customers can also get information about our service team, our BMW parts, and our dealership, and our spa and detailing services! This will take you directly to our inventory of new cars for sale in Ancaster! Step 3: Choose your search options at the top of the screen. These search options are in place to help customers narrow down their results. If you already have an idea of what you are looking for in a new BMW vehicle, you can choose those options and have only the vehicles that meet your criteria appear in the list of results. Step 4: When you find a vehicle that interests you, click on the orange ‘View Details’ button. 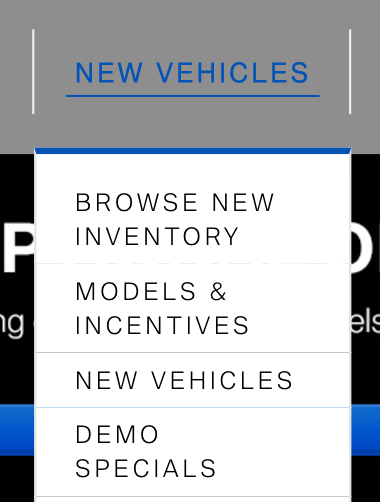 Clicking ‘View Details’ will take you to another page that has more specific information about that vehicle. You will get information about the warranty, incentives, specifications, vehicle options, and you can even get your current vehicle appraised for a trade in value and book a test drive. Fill out this form and click ‘Submit’, a Budds’ BMW Hamilton representative will be in contact with you shortly in regards to your inquiry. For more information about finding new cars for sale in Ancaster at Budds’ BMW Hamilton, please feel free to continue browsing through our website. You can also find more interesting content, much like what you just read, from our blog. 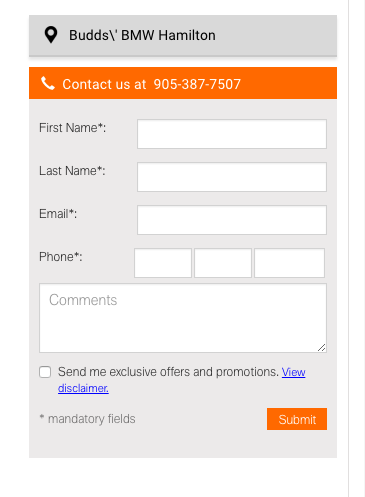 We can be reached at (905)387-7507 or by filling out our contact form.